Self-catering? Too much like home. Catered chalet? Pah, too much like school (be back at 7pm for dinner, or else no food). Hotel? Not enough like home. Now there is an alternative that' s cooking up a storm in Morzine. The Chalet Host Co. is a private catering service, providing your own chef to prepare, serve and clear your breakfast, packed lunch for the mountain and afternoon tea. 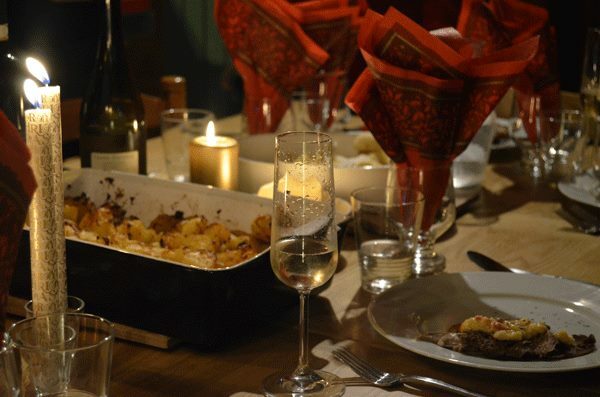 In the evening, sit back and enjoy dinner, even special suppers for children - and complimentary mid-week cleaning. Toby Freeman , creator of The Chalet Host Co., dishes it on Morzine. 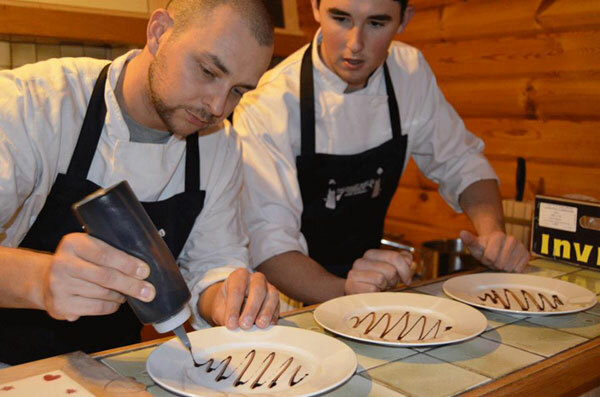 As a new catering company that travels to privately rented accommodation for everything from dinner parties to a full weeks' catering, Morzine makes perfect sense. Unlike many other resorts it is not purpose built and run by big corporations. Morzine has naturally grown into a unique ski town that is filled with exciting little business ventures and a friendly community. I have been visiting here for over a decade and pleased to say that I am now a permanent resident. It’s great to be somewhere where we are plugged into the local community. As I am still learning French, and am no more than a keen amateur, the English influence here makes it much easier to get by. Morzine is full of people who are happy to be here and will do anything for anyone. 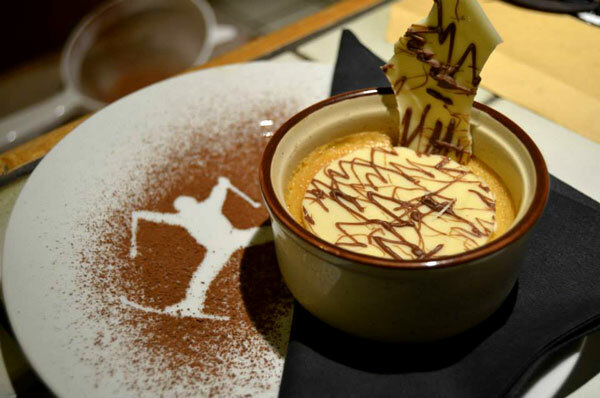 We can focus on keeping our guests well fed and confidently leave Morzine to ensure they enjoy everything else about their stay. What's special about The Chalet Host Co? The Chalet Host Co has a team of talented and experienced hosts in resort that will come to your accommodation and become your private chef for the week or to host a special dinner party. They will arrive with all their ingredients and equipment needed to produce some delicious meals, cook, serve, clear, clean and leave to you to enjoy the rest of your evening. Our service is specifically tailored to each group, freeing our guests from set meal times and giving them the chance to discuss and adapt the menu. We give our guests the chance to enjoy a private chef experience without having to endure a mammoth fee by keeping our service affordable and at a great value, so everyone can enjoy it. The idea sparked on my second season while working as a chalet host for a tour operator. I noticed that a lot of our guests’ holidays were limited because they had to be back for dinner or up for breakfast at a time set by their host. They could not enjoy a big après or a lie in on a cloudy day without missing their meals. So I spent the next 18 months working in London while researching, developing and fine-tuning a catering service that gives people the flexibility and freedom to enjoy their holiday as they wish. We work to your schedule, rather than you working to ours. I am a boarder by trade but picked up my skis a couple of years ago and am giving them a crack. I am all for pushing both and bridging the divide. On an icy day, when the pistes are crunchy, I would always go with skis as they tend to be more stable and same when riding park. However, I have also learnt that a lot more can go wrong. Nothing beats getting some freshies on a board on a blue bird powder day. When the nose rises out of the snow it’s like your flying, that’s when boarding really comes into its own. INCREDIBLE! I usually get a couple of afternoons a week. It tends to be sneaking in a run here or there over a full day exploration, but that’s perfect for me. I have had a couple of seasons with lots of time on the mountain so this year it is all about making sure that The Chalet Host Co runs smoothly and is a success. Guess you know Morzine like the back of your hand? What is your favourite run/route? I’ve been lucky enough to have spent a lot of time here and the Portes du Solieil ski area is vast, expansive and versatile. It covers 13 resorts in total with everything from long wide pistes to amazing backcountry and so many parks that it’s hard to keep count. Morzine acts as the bridge that connects the two halves of the Portes Du Soleil Ski area and is nestled in the valley between Avoriaz and Les Gets. In the morning the sun beats down on the Prolays run which winds down from the Express Prolays chair starting in the Linderet bowl. It is incredible and features The Stash, a woodland park that runs next to the piste and has loads of awesome features crafted from the local timber. The piste itself is wide and varied running the whole way from the top of the mountain, to the base of the bowl with loads of little side hits along the way. When the snow is really good I love to surf down the Vallee de la Manche. It drops off the back of La Fornet and there is a whole mountain of (if you’re lucky) untracked off piste, running from top to bottom. Depending on how fast you like to travel, this can take you half a day or a couple of hours, once you’re at the bottom you just hop on a free bus back to the centre of town. Job done. It’s great here because Morzine is a town in its own right and there is loads to do when you’re not on the hill. There are loads of great restaurants and eateries to try, lots of funky boutique shops to plan how to spend the next pay packet and some great bars. When I’m not working or on the mountain you can usually find me trying out the restaurants and coffee shops in town or having a cheeky pint after work in one of the bars. What is the best bar in town? And why? It depends what you are looking for really. After a long day on the mountain we will usually head for a couple of après drinks, Bar Robinson’s or Robos is an awesome little place that is run by a wise and elderly French couple and all they serve is Mutzig, a locally brewed strong beer which packs quite a punch, so drink with caution. 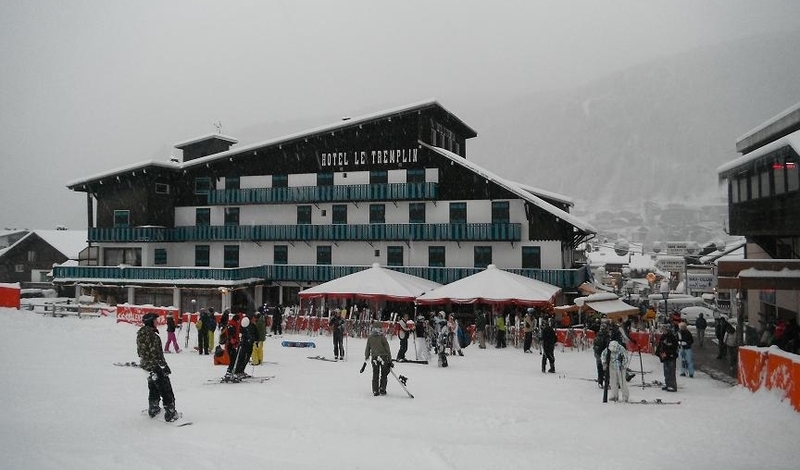 Or there is the Tremplin, which you can ski to as it is based at the bottom of the piste. At the Tremplin they have a big outdoor decking area and bar, and have one of the local DJ’s playing a set for the apres session a couple of times a week. If you’re on the hunt for some late night debauchery then The Cavern is a great spot. It’s an underground bar/club, which is almost always bustling with partygoers and often has live music from local bands. If you fancy a rave to some jungle drum’n’bass then Café Chaud on a Sunday is the place to be, and they have a cracking house night on a Wednesday. There is just so much to choose from as there is something going on every night. There is an amazing view at the top of the Chamossiere lift in the Neon ski area, it spans for valleys and valleys and you can follow an awesome ridge that supports four epic and snowy peaks. It’s all phenomenal but if you really want to be wowed then anywhere in the La Fornet bowl will blow your mind as it’s one of the highest points the Portes du Soliel. You can see for miles on a clear day. The school holidays, half terms and bank holidays tend to be the busiest weeks of the season when the town comes alive. It’s great to see all the restaurants and bars full of people enjoying themselves. On the other end of the scale, the first weeks of January tend to be really nice as the pistes are baron and the snow tends to be pretty good too. If you have a big snowfall around this time then the off-piste tends to last a little longer. 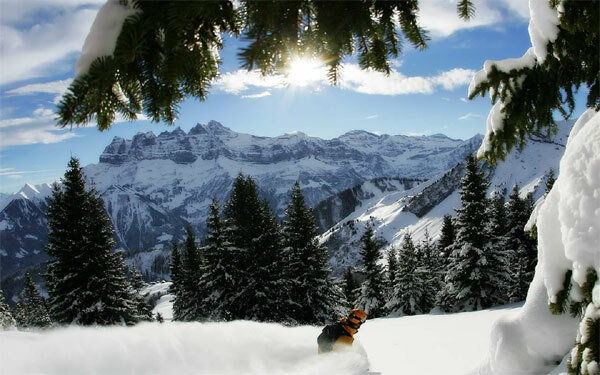 Is there anything else to do in the winter season in Morzine? I have never done it myself but up by Lake Montriond you can go Ice Diving. That is one to tick off the list and hopefully I will get to do it some time soon. If you have a pooch with you there are some really cool walks around town and hikes which take you up the snowy mountains. Another one to tick off the list is the all terrain Segwaying down by the river. I have never done it but it looks awesome and hopefully I’ll get the chance some time soon. Now I live here I like to go and explore other resorts and local towns down the mountain. We recently went to Tignes for the day. It was awesome. I have a couple of friends living over that way and it was great to have a catch up and ski a new area. Very much the opposite to everyone coming here on holiday, inter season is my break and gives me a chance to head home to the UK for a couple of weeks and see all my old friends and family. We try to squeeze in a nice summer holiday too as we need to fade out the goggle tan lines somehow!